After Pluto was discovered in 1930, astronomers and astrologers would often talk about one more Planet X yet to be found. There were even some astrologers who hypothesized Transpluto, and started using it’s theorized positions in charts. But neither the astronomers nor astrologers ever expected the multitude of new bodies that would be discovered in the neighborhood of Pluto and beyond. When Uranus was discovered in 1781, it shattered our preconceptions and added a whole new dimension to astrology. Sixty-five years later, the discovery of Neptune showed us our universe was much larger than we had dared imagine. In 1930, Pluto exploded into our consciousness with an intensity that made the previous discoveries seem almost pale by comparison. Each of these pushed the borders of our solar system further outward, and at the same time there was a corresponding delving deeper and deeper into our inner psyche. But we thought we knew the area within the borders quite well. That is, until 1977, when Charles Kowal stunned the world by finding a possible planet orbiting between Saturn and Uranus! We didn’t really know the immediate neighborhood at all! And a few years later, in 1992, the discoveries of the first body out past Pluto (nicknamed QB1), and another body in between Saturn and Uranus (named after another Centaur, Pholus) marked the beginning of a whole new wave of discoveries, one that is still going on. During the past 20 years, so many new bodies have been discovered that the mind boggles. Our ancestors, the astrologer/astronomer/priests, only had to make sense charting the motions of the Sun, Moon, five planets, and the Moon’s Nodes. Most of what we know of today as astrology is based on the findings of those early skywatchers. We adapted somewhat in 1781, and the Uranian shockwaves are still being felt. We adapted again after Neptune’s discovery but while some things became more clear, others became much more fuzzy. We are still trying to adapt to all that Pluto has brought to us, and it has been quite often a very painful experience. But in each case, humanity and its astrologers have had several decades to begin comprehending the new perceptions of how our world fits in the largest universe. Chiron’s coming into our consciousness changed the dynamics, forcing us to take second and third looks right here in our immediate neighborhood. Those who were brought up to read the Christian New Testament are probably familiar with Luke 6:42, which advises us, before we can help another person, we must first the splinter from our own eye. You can interpret this on many levels, but it’s very much Chiron, which is telling us that in order to truly step outside of our own limits and be of use to the rest of the universe we must first work on our own selves, our own immediate issues. And, thick and fast, more and more Centaurs have been showing up, showing us our own darkest sides….the areas of ourselves we really need to work on. Just as they are being discovered in our own backyard, relatively speaking, in parts of the solar system we thought we knew well, we are having to look at parts of ourselves for the darkness we once tried to assume was always in ‘the other person’….and acknowledge that, no, it’s in all of us too. The Neighborhood is Changing. It can be terrifying. But just as in art, the empty spaces help define the artist’s work, the darkness helps to show us what is truly good about us as well. In the new neighborhood, we are all human, all wounded….but all have the potential to help each other help ourselves heal. Although Occupy Wall Street had been planned for weeks before, it was on the afternoon of September 17, 2011 that the invasion took place that was the beginning of something that has become a worldwide movement. There are many astrological ‘events’ that presaged this revolutionary event, and perhaps one of the most talked about has been the square from revolutionary Uranus (who often seems to resemble Prometheus, the being that smacked the major gods in the face by stealing fire from Olympus and giving it to the common people, thus putting power in their hands) in the new-beginnings sign Aries to transformational Pluto in the big-business/big-government sign of Capricorn. But there are other signatures of this event that you might miss if you only look at the regular planets. Enter the Centaurs. When Occupy Wall Street officially began, there was an exact conjunction between the Centaurs Pholus and Hylonome at 14 Sagittarius 09. According to Dane Rudhyar, the Sabian Symbol for this degree is “Ground Hog, out of its winter sleep, looks for its shadow.” If you are familiar with the tradition, the ground hog looks for his shadow to decide if the cold of winter is about to end, or if it will still be bitter and miserable for many weeks. One can imagine the protestors, the “99%”, finally emerging from their cave to look for a way to get the “1 %” to provide a more humane financial future for them. (The Centaur Pholus, himself, lived in a cave.) Some interesting key phrases have been surfacing for these two bodies. For Pholus some keys include invasion, communion of two worlds, clash of cultures, dispossessed, homeless, dissolving structures, the catalyst and provider for a landslide-like change from which there is no return to the previous state. And Hylonome includes such key phrases as the cry of the poor, the ability to evoke sympathy, an increase in the emotional gradient of a situation, helplessness, a yearning for the impossible. One can see elements of both in this growing movement. And Mercury, by the way, was 14 Virgo 58, just separating from the square to these Centaurs. Pholus and Hylonome might have been in exact conjunction on the day the occupation began, but they were keeping pace with each other for quite some time. In February 2011, they moved within a half a degree of each other (and will be until December of this year.) It was in February that there were a series of protests in Wisconsin, sometimes with as many as 100,000 protestors, opposing a government bill aimed at handling a $3.6 billion budget deficit which many saw as severely penalizing all but the wealthiest residents of that state. And in June 2011, when a Canadian anti-consumerist magazine called Adbusters registered the domain name occupywallstreet.org, the two bodies were only 15 minutes apart. Mythologically, these two were husband and wife. A lot has been written about Chiron. He is quite frequently active when we are forced to look at deep wounds we have tried to bury or cover over, and are forced to take a close look at the cause (and perpetrators) of the wounds in order to find a way to bring about healing. Chariklo’s influence stirs people to question reality so that they begin to see that what has been limiting them is only apparent reality and therefore they have options they hadn’t considered….it leads people to choose to open a door in spite of possible consequences. There will be two more of these squares in this series, one in June and the other in August 2012. I suspect that this Occupy Wall Street movement will continue its momentum until at least then. And there may be some really major events in those months, as Chiron goes stationary in June closely square Chariklo, while Chariklo stations two months later again closely square Chiron. One more thing. There is an asteroid named Hidalgo that stirs people to demand respect and to stand strong and firm for their principles. 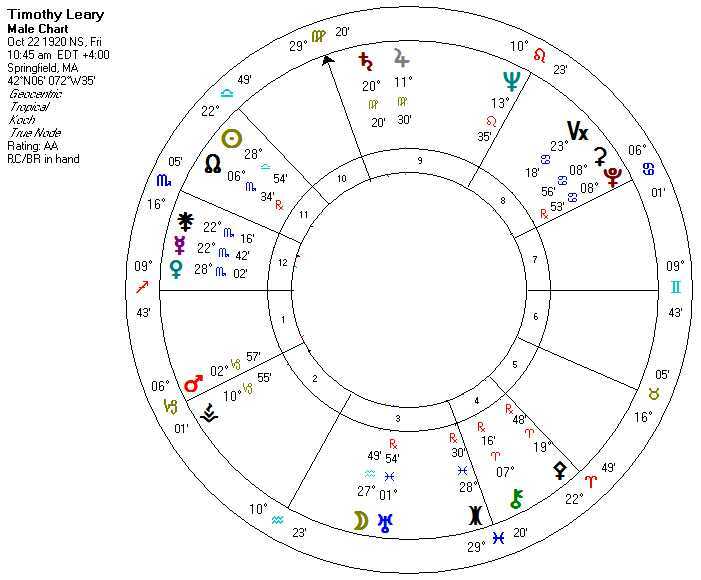 When Occupy Wall Street began, Hidalgo was at 1 Sagittarius 29, closely conjunct Chariklo. On Sept 22, 2004, a body was found out past Pluto that was eventually named Salacia. Maybe the fact that it was in Pisces when it was discovered, ruled by Neptune, is only coincidentally related to the choice of names, but Salacia was the the mythological being that the Greek god Neptune fell totally in love with and eventually married. (She at first was so overwhelmed by his presence that she swam away when he approached, but was eventually persuaded to give her consent to the wedding.) She is written of variously as the goddess of the sea, goddess of salt water, and goddess of mineral springs. The planet Uranus has a reputation for shaking things up, even breaking things up. In 2007, Salacia and Uranus began to move near each other, and on March 15, 2008, they were exactly conjunct at 19 Pisces 02. Ten days later, when they had only separated by 17′, a 156 square mile chunk of the Wilkins Ice Shelf disintegrated. This huge shelf, 5400 square miles of ice, is located in Antarctica. Sciences start looking more closely at the area, and were surprised to discover the the whole shelf was beginning to break away from the continent, and they watched as, at the end of May, another 62 square miles broke off. By the end of November it was announced that in 2008 alone, the shelf had lost 770 square miles, and in January 2009 that the shelf was only held up by a very thin strip of ice that. If that strip were to break, and the entire shelf (about the size of Jamaica) were to break away, it would be the largest such breakup of artic ice so far, and would result and numerous icebergs with their potential danger to shipping, and the melting giving further rise to the water levels. All during this period, Uranus and Salacia moved in and out of orb of conjunction. Salacia first moved into Pisces in 1993. That was the year that Professor David Vaughan, a scientist working with the British Antarctic Survey, predicted that the northern part of the Wilkins ice shelf was likely to be lost within 30 years if climate warming on the Peninsula were to continue at the same rate. In 2008 David conceded that his predictions were too conservative, as changes were occurring much more quickly than he had ever imagined. Interestingly, an article was published in the journal Science, on August 8, 1975, entitled, “Are we on the brink of a pronounced global warming?”. This is probably the first use of that term in its modern sense. Salacia was about 5 Aquarius 30, which would make her semi-square to her position later when the scientific community’s attention was drawn to the breaking up of the above ice shelf. seems all the more horrible. the word chaos to describe the scene. more interesting when you look at its most recent station. it in very close square to the eclipse/Chaos energy. house, which among other things represents the foundations. Uranus is still in orb of its square to Pluto. which must be paid attention to, one that cannot be ignored. whole slew of bad things flew out into the world. The phrase “a half century ago” nearly knocked me off my chair. For those of you who are not familiar with the Chiron cycle, it is currently about 50 years….so it’s a half century ago that Chiron was about to enter Pisces the previous time. The conference, themed “Psychedelic Science in the 21st Century”, began yesterday, and continues until two days before Chiron changes signs. One of the presenters will be this Stanislav Grof, mentioned in the article. When Chiron entered Pisces 50 years ago, it didn’t pass over anything in his chart, but that doesn’t mean it wasn’t significant. First, he has the entire sign of Pisces intercepted in his third house of the mind so Chiron spent the sixties opening mental doorways; and second, shortly after Chiron changed signs it opposed Stanislav’s 9th house Neptune. He won’t be at the conference, but another psychedelic explorer also shared a Pisces-dominated 3rd house. But in Timothy Leary’s case, Chiron touched his Uranus in Pisces shortly after the 60’s began. I don’t explore psychedelic frontiers anymore (yes, I did dabble a bit in the 60’s), but I would love to attend this conference. I always knew that the potential medical benefits of psychedelics were worth accepting the risk of potential dangers…. I guess I saw even then the Piscean 2 fish swimming in opposite directions, before Chiron was even thought of. So now, to quote the title of a book by another psychedelic explorer, Aldous Huxley, we are about to enter a “Brave New World”. What will we be saying about psychedelics 50 years from now, when Chiron returns for yet another cycle? Chiron moves into Pisces on April 20, then will retrograde back to Aquarius July 20, then back into Pisces on February 8, 2011 where it will stay until 2018. The last time Chiron moved into Pisces was when I was a little kid, March 26, 1960. It did the same thing then, too, going back to Aquarius for a few months, then moving into Pisces on Jan. 20, 1961 where it hung out until 1968. A lot of people feel that Chiron’s entry into Pisces was one of the major influences on the era we now lovingly call “The Sixties”. The Pisces symbol is two fish swimming in opposite directions, and the sixties were certainly polarized. Pisces rules drugs and mysticism, spirituality, psychic influences….sounds like a lot of the 60’s that I saw. I was reading the Pisces profile at http://www.skyscript.co.uk/pisces.html and kept seeing the 60’s over and over again in the description. If the 60’s were a person, Pisces would have to be very strong in their chart! So years from now, will we look back on this decade with similar memories? A lot has changed in 50 years, mind you. In the 60’s, we were barraged by television news footage of the Viet Nam war and the antiwar protests, while today many people sit in front of computers rather than TV, watching YouTube footage of the Iraq war and the antiwar protests. In the 60’s, newspapers and magazines like Time and Newsweek were frequently filled with stories about the dangers of LSD, police busts for drugs, and debates about making Marijuana legal, while today the news media talks about the dangers of drugs like cocaine, the war on drugs, and debates on making Marijuana legal. In the sixties, people saw the future as a blend of end-of-the-world fears (with songs like “Eve of Destruction”) and dreams of paradise (“When the Moon is in the seventh house, and Jupiter aligns with Mars, then peace will guide the planets, and love will steer the stars,” while today the internet is full of end-of-the-world talk (just how many websites ARE there about 2012 being the end of everything) as well as talk current events being the birth pangs of a new, wonderful New Age we will soon all be living in. What goes around comes around? I came of age at the end of the 60’s, and have a lot of fond memories, as well as memories of doing some of the most stupid things possible. Most of my peers will say the same thing if asked. I like to compare Chiron in Pisces with a scene from the Wizard of Oz. Chiron opens doors to worlds one did not even know existed, and like Dorothy when she looked through her Kansas house doorway into the Land of Oz, one can’t help but want to explore this wonderous new world that was beyond anything previously imagined. There is so much to see, like “the horse of a different color”, so many new people to meet, like Glinda and the Munchkins, but also unbelievable dangers, like falling asleep and not waking up in a field of poppies, or making extremely dangerous enemies like that ‘other witch’. This Chiron in Pisces won’t be a mirror image of the last time, to be sure. A lot HAS changed in the world, some of it for the better, some of it for the worse. But I think you will see the door opening into another world once again and, like Dorothy, will have the opportunity to experience the two fish going in opposite directions….untold wonders, and unimagined dangers. Let’s hope we remember where we’ve kept our ruby slippers. The ancients knew that there was a Sun/Venus cycle of 8 years. Today, we call it a recurrence cycle, because every 8 years the Sun and Venus return to approximately the same relationship to each other around the same date. So for example, say you had Sun at 8 Scorpio at birth, and Venus at 19 Libra. Around your eighth birthday, the Sun would again be around 8 Scorpio, and your Venus around 19 Libra. This would occur at age 16, age 24, age 32, age 40, etc, etc. 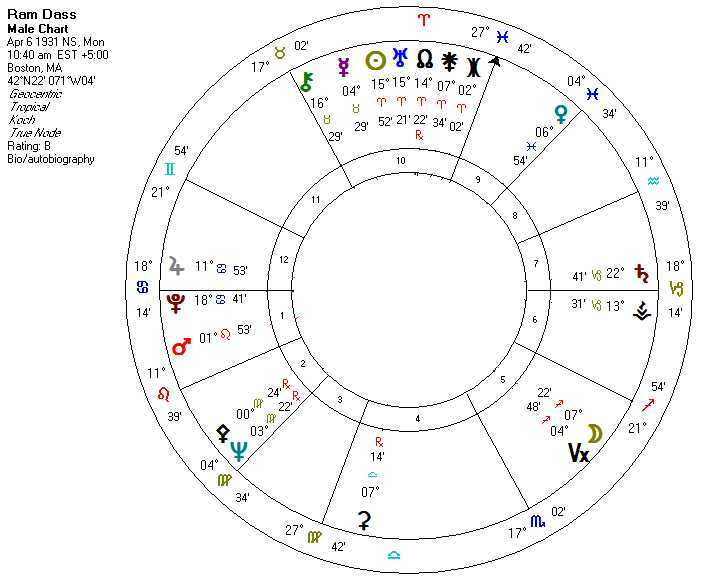 Some astrologers even cast charts for when the Sun and Venus return to the exact birth angle and view it as describing the coming 8 years in terms of things like self-respect, personal values, creativity, and even expressing love. Other planets also have recurrence cycles with the Sun, and with each other. It is especially interesting when three bodies return to the same relationship which, as you might imagine, occurs less frequently. For those long past their 32nd birthday (like the author), studying what your 32nd year was like should tell you a lot about yourself, what’s really important to you, and what you are willing to do to go after it. It can reveal, as well, a lot about your whole attitude towards relationships, and even about your comfort or lack of as a male or female (as the case may be.) For those approaching the 32nd solar return, I’d like to suggest that you take stock of what’s really important to you, and the means you choose to go after them or attract them to you, and get to know yourself much, much better this year. Keep a diary or journal….you’ll be glad you did. A chart doesn’t have to be for a person in order for it to have recurrence cycles…..any chart will have them, be they for an organic life form, a venture of some kind, or even the chart of an event. I’d like to look back for a moment at something that occurred in the Autumn, 32 years ago. On October 18, 1977, at 9:08 pm PDT at Palomar Observatory, a photographic plate was exposed to the light of the telescope, and then put away for later review. At around the same time the following day, a second plate was exposed to the same section of the sky, and filed away with the first plate. Astronomer Charles Kowal finally got a chance to look at these plates on the morning of November 1st. He put them side by side in something called a blink microscope, which basically moves back and forth between the two as quickly as the blink of an eye. To the observer, any star will be still, but a moving body will flash back and forth before the observer’s eyes. At a little before 10 am, became the first person to become aware of a body he later named Chiron. So around October 18, 2009 will see a Sun/Venus/Mars recurrence in the chart of that first photographic plate, and November 1, 2009 will be this recurrence to the Chiron Discovery Chart. What could this mean? Let’s look briefly at the two 1977 charts. The photographic plate can in some ways be considered the ‘conception’ chart for Chiron’s entry into our consciousness, since the ‘seeds’ of its discovery were ‘planted’ on the plate in the form of a photographic image. Venus was quite important, being in its own sign Libra, and ruling the Sun in Libra (as well as Mercury, Pluto, the North Lunar Node, Vesta and Pallas.) Mars in Cancer was out-of-sign sextile to Venus, and closely square the Sun (and Mercury). And since we are talking about Chiron, we must mention that Chiron was out of sign square to Mars, and quincunx Venus, as well as being in Venus’ other sign Taurus. I’d say the Sun/Venus/Mars/Chiron relationship was rather significant, and Mars’ importance was even moreso as it co-ruled the Scorpio Ascendant. (Oh, yeah, so Venus also rules the Descendant!) If this is truly the conception chart, then Chiron’s conception is intimately wrapped up with the Sun/Venus/Mars relationship. And it shows, to my thinking, that the Meaning of Chiron for us is rooted in the the dynamics of relationships of all kinds, of uncovering what is keeping us from realizing our self-worth, and what is keeping us crippled in some way unable to truly express our full energy. If the photographic plate is the conception, then the discovery is the birth of Chiron into our consciousness. There is a conjuncton of Venus with Pluto, the North Node and Vesta that is strong in the chart, with Venus still occupying its sign Libra….and the stellium is conjunct the Libra Midheaven. As if that wasn’t emphasis enough, that whole stellium is square the Moon in Capricorn. Mars in Leo is no longer square Venus, but instead is squaring (and in mutual reception) to the Sun in Scorpio (Sun is also conjunct Uranus), as well as ruling the Aries 4th cusp. And Chiron is now opposing the Sun, and it’s square to Mars is only 42′ away from exact. Chiron’s birth into our consciousness, if we can take a queue from this chart, is once again about our relationships, but ALL of our relationships, including those we have inside with different parts of ourselves; and it is about extremely painful hurts we have experienced, that have brought about a disassociation within us, and from each other, and how we can learn to heal the wounds, bring the parts together into a whole, and bring people together so they can act as one. Lest you think I forgot, I started this post talking about 32 years. And 2009 is 32 years since 1977. On the 32nd anniversary of that ‘conception’ chart, we again have Mars sextile Venus, but in a tighter orb, with Mars in Leo. Venus is also conjunct Pallas in Libra, Mercury is in Libra, and of course the Sun. But what makes this chart stand out, for me, is that the Moon is just past the New Moon, which mens the October New Moon is almost right on the Sun in the 1977 chart. For those of you who have experienced a New Moon on the day of your Solar Return, you will know how significant this is…..SOMETHING new is going to enter our consciousness about the root meaning of Chiron! On the 32nd anniversary of the ‘birth’ chart, we again have Venus in Libra….this time in a close opposition to Moon in Aries, with Venus very closely trining (Moon sexiling) Chiron, as well as Jupiter and Neptune. And at right angles (squares) to Venus/Moon are the Moon’s Nodes, the north one being in Capricorn Mars in Leo is again closely squaring the Sun in Scorpio, as well as Mercury and Ceres. From this alone, I’d say all the Chiron issues we have been becoming aware of for the past 32 years will be very much “in your face”, not just in the year ahead, but for the next 32 years at least. But that’s not all. 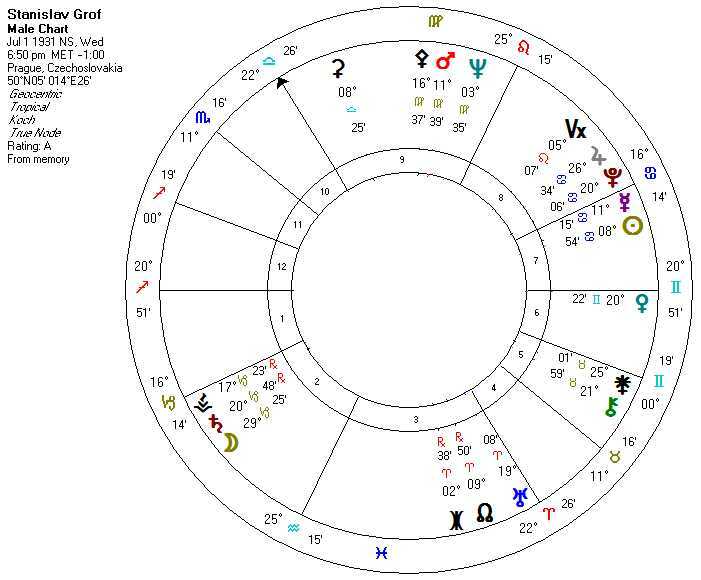 October 30, at around 10:45pm PDT (only a little over a day before this return chart), Chiron goes stationary direct. As you probably know, a body at or near its station is at its strongest intensity, and an outer body like Chiron moves so slow in the days near the station that it’s like the station lasts a few days, not just one. Did I say that Chiron will be “in your face” following this return chart? I’d say the station amplifies that statement ten-fold. The depth of Chiron’s importance to us is going to be revealed in no uncertain terms as a result of this recurrence return. If we thought we were getting a handle on Chiron’s meaning before now, we will come to realize that we’ve only touched the tip of the iceberg (or the halo of the comet, if you’d prefer), and we are going to learn about Chiron whether we want to or not. There is a conjuncton of Venus with Pluto, the North Node and Vesta that is strong in the chart, with Venus still occupying its sign Libra….and the stellium is conjunct the Libra Midheaven. As if that wasn’t emphasis enough, that whole stellium is square the Moon in Libra. Mars in Leo is no longer square Venus, but instead is squaring (and in mutual reception) to the Sun in Scorpio (Sun is also conjunct Uranus), as well as ruling the Aries 4th cusp. And Chiron is now opposing the Sun, and it’s square to Mars is only 42′ away from exact. Chiron’s birth into our consciousness, if we can take a queue from this chart, is once again about our relationships, but ALL of our relationships, including those we have inside with different parts of ourselves; and it is about extremely painful hurts we have experienced, that have brought about a disassociation within us, and from each other, and how we can learn to heal the wounds, bring the parts together into a whole, and bring people together so they can act as one.